Sonam Kapoor these days is making the most of her free time as she has a busy schedule ahead. 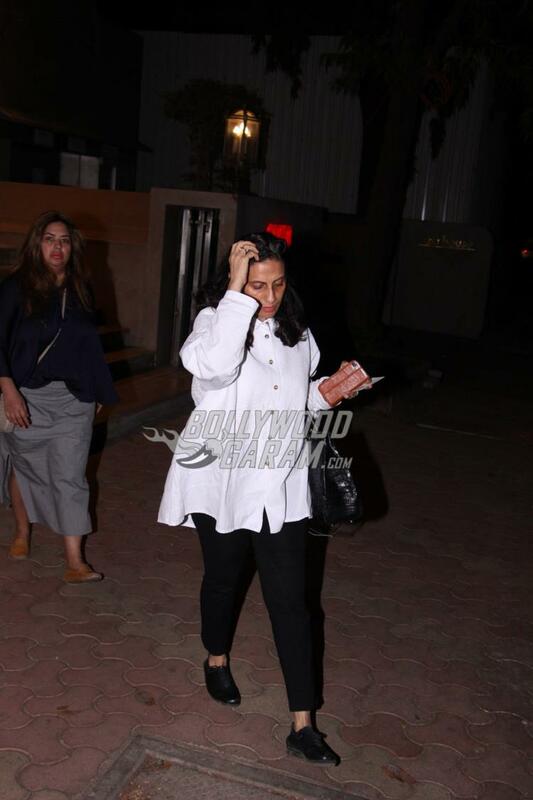 The actress was seen going for some shopping with mom Sunita in Mumbai on April 23, 2017. 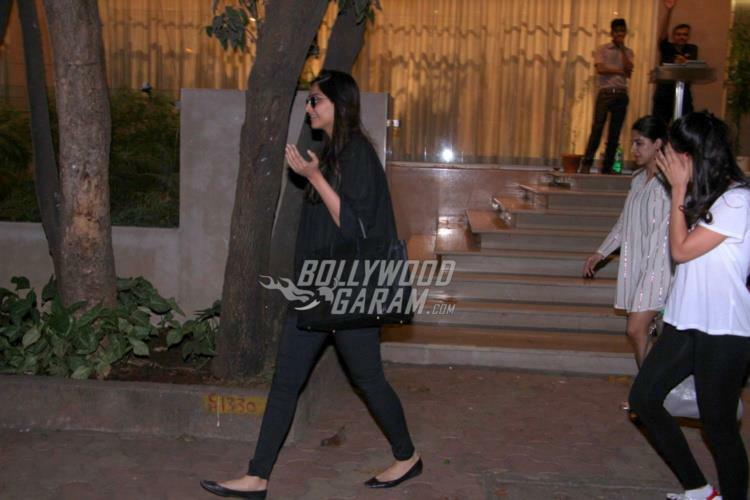 Sonam, who is known for her fashion consciousness, looked great in an all black outfit. The Prem Ratan Dhan Payo actress seemed in a jolly mood as she smiled and waved for the shutterbugs. Kapoor will soon start shooting for sister Rhea Kapoor’s production Veere Di Wedding. The movie will also mark the return of Kareena Kapoor post her maternity break. Veere Di Wedding also features Swara Bhaskar. Sonam has also been roped in for Akshay Kumar starrer PadMan, which is based on the issue of sanitary hygiene among women who cannot afford expensive sanitary pads. The Dolly Ki Doli actress will also be seen in Sanjay Dutt’s biopic which stars Ranbir Kapoor. Sonam’s movie Neerja recently won the Best Hindi Film at National Awards 2017. The movie was based on the brave air hostess Neerja Bhanot, who managed to save lives of several passengers on a flight with courage, as she dealt with the terrorists. Sonam played the role of Neerja and was appreciated for her performance by the audience as well as the critics. The star herself won the Best Actress award at the National Film Awards 2017 for her take on Neerja Bhanot. Next articleKamal Haasan will host upcoming season of Bigg Boss Tamil!